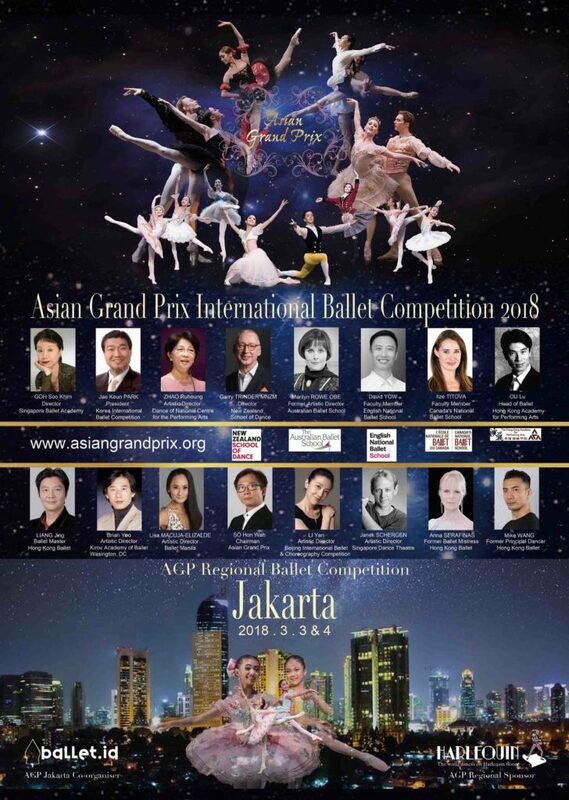 Are you ready for the biggest international ballet competition in Asia Pacific? 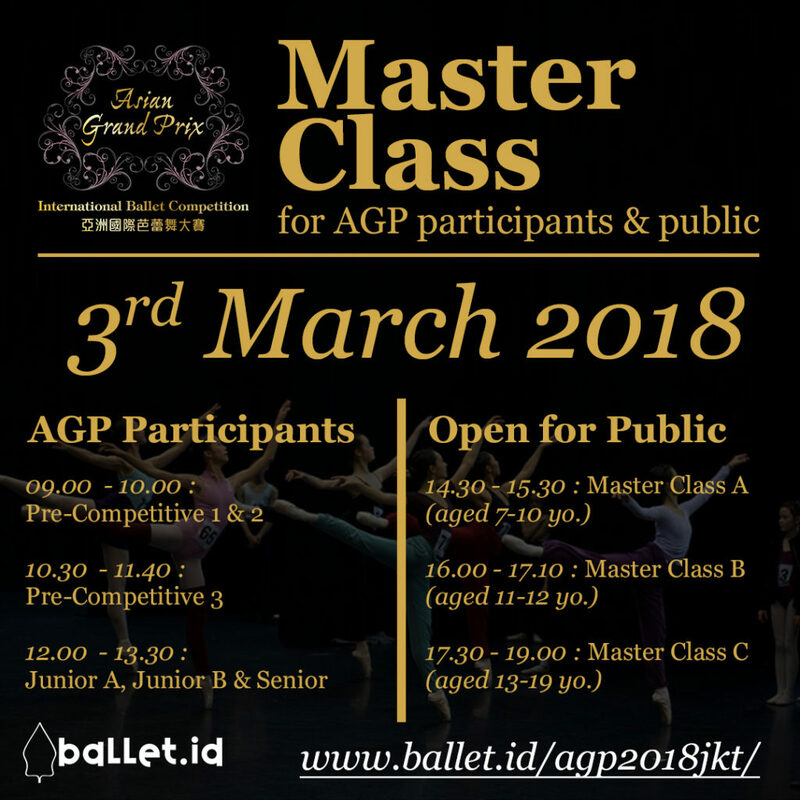 Ballet Master Class during AGP Regional JKT conducted by Asian Grand Prix jury! For AGP Participants, this will also be your chance to get familiar with the jury’s class style to prepare for your technique-class during the competition! For those who are not competing this year, you still can get a slice of AGP experience with Master Class for Public! And for teachers and parents, you are invited to observe the master class. Register and secure your place now! Its OPEN for ALL! Not every competition is created equal. Not every ballet competition can boast having Joy Womack (Universal Ballet) and Katherine Barkman (Ballet Manila) as their winners. Not every competition offers you opportunity to receive scholarships from top schools across the world. 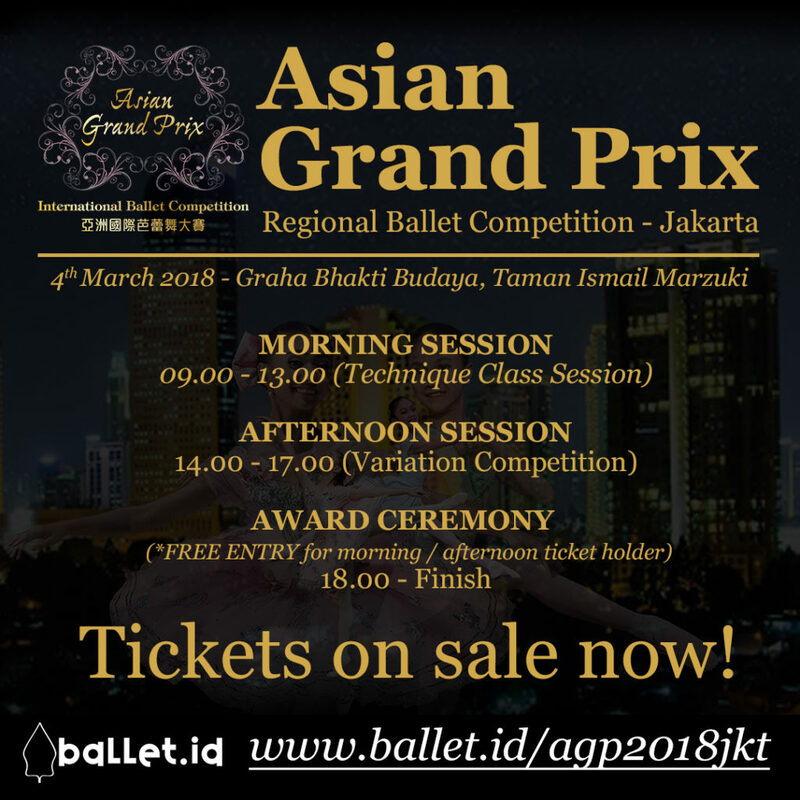 AGP Regional Competition held only in 10 selected cities across Asia Pacific, we are proudly presents AGP Regional Competition Jakarta on 3 & 4 March 2018, an international-level ballet competition organized by AGP right here in Jakarta! Now, do you have what it takes to compete -in class and on stage- with the best dancers in Asia Pacific? The competition is divided into Pre-competitive Divisions and Competitive Divisions. It is a valuable experience for young dancers of different ages to learn from master teachers, and to show the beauty of ballet art on stage. Excellent dancers are selected to enter the AGP Hong Kong Final Competition. Students who show promising potentials are awarded with scholarships. Audiences in Indonesia are able to observe and learn from the competition. Register online now! Be the top four and go to final in Hong Kong! Hi.. can you share who is the local organizer / representative in charge for this event? We are the local organizer for this event. May I ask if there are available tickets for spectators? i am interested to see the aged 7 – 8. Thank you. The tickets sales will be started on February. We will inform you when its open. Mohon informasinya Asian Grand Prix Regional Jakarta thn 2019. Apakah sudah dibuka registrasinya utk umum? Jk sudah dibuka pendaftarannya, mohon informasi ttg pendaftarannya. Pendaftarannya dibuka pada tanggal 1 Nov 2018.